Baz battles against some of gaming's biggest names and discovers some new favourites along the way. Super Smash Bros. Ultimate shouldn’t work. Zelda fighting the Wii Fit Trainer on a Pikmin stage with Kirby music and a Brain Training assist trophy… SHOULD… NOT… WORK. There were moments playing matches as Mario, kicking the crap out of Bowser high above New Donk City, that I wondered if it works simply because of the level of fan service involved in these games – after all, this “ultimate” entry in the franchise includes a staggering 74 characters, more than 100 stages and over 800 music tracks from many of the most beloved franchises in gaming history. Undeniably, fan service is a huge part of what makes these games so attractive. There is a joy in seeing all of these wonderful properties interacting, whether it be in the character and stage you pick or just wondering what Pokémon or character is going to emerge from an item. But it would be a disservice to these games to think that the only thing they have to offer is that fan service. Before now, I have primarily been a social smash player and have had hours and hours of fun over the years playing as my favourite characters against friends. But, never before had I sunk into it as a fighting game that you can learn and master. 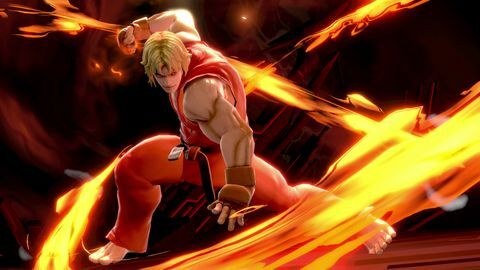 I was surprised playing Ultimate solo, just how satisfying that fighting game loop can be – especially in how it pulls you towards characters and playstyles you may not be familiar or have tried otherwise. Embarrassingly I have never gotten into the Fire Emblem franchise, and as such the characters from those games are unknown to me. Yet, after dozens of hours of playing Ultimate, I find myself becoming more and more drawn to Marth as my main – as I enjoy the speed and agility with which he plays and the power with which he strikes. 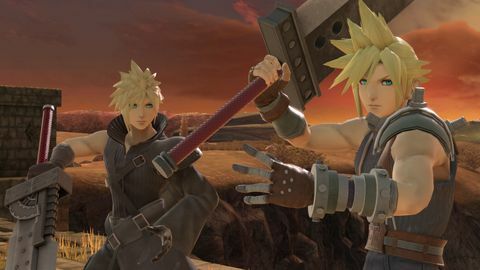 It is a testament to the quality of design and diversity of the game’s fighting playstyles, that even though the roster contains some of my favourite characters of all time, I am still being drawn to playing a character I have no emotional attachment to. As I continue to hone my skills with Marth and delve deeper into the game’s meta – I was surprised to find just how far I had to dive to find that technical floor. The more you play with a character, the more familiar you get with the interplay between their special skills and primary attacks. Though it may seem at first that a character only has the four special attacks outlined on the move list, the way those moves and your primary attacks interact with jumps, runs and ducks actually means that you have a whole suite of attacks at your disposal. Then on top of that is the myriad of ways those moves interact with the similarly complex set of skills of the 73 other characters. It is not just about the attacks either, but all the little quirks that characters have – like the fact that Marth does more damage if you hit players with the very tip of his sword. there is still a huge amount of fun to be had for first time Smash players, or the most decorated fighters. When you start to do the math on all of those matchups, it could be a little overwhelming. Yet, Ultimate manages to maintain its ‘easy to get into, hard to master’ description, despite the wealth of factors there are to consider - with the number of characters, stages and items there are to get your head around. 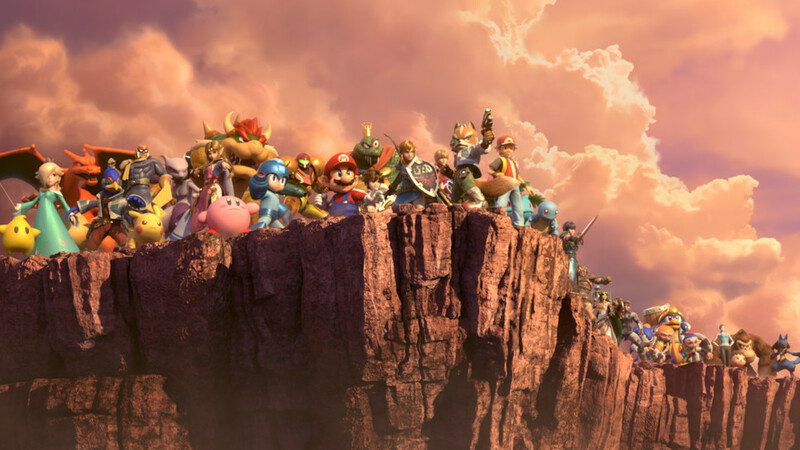 Though you are likely to fall off the map a lot as you get your bearings, there is still a huge amount of fun to be had for first time Smash players, or the most decorated fighters. It is nice that there is an adventure mode to mix up the game’s offerings, but the experience is pretty forgettable. 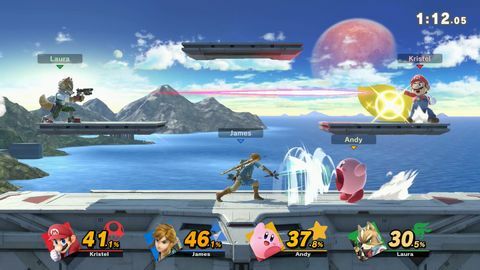 For those playing solo, the game includes a number of modes which offer a progression to the core fighting loop – such as classic mode and the new adventure mode, ‘World of Light’. Classic mode allows you to take each character through a bespoke series of fights towards a boss. 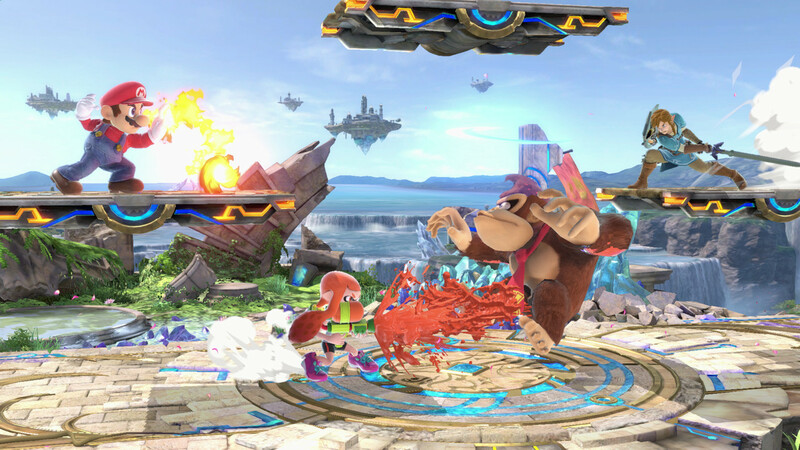 Each fight mixes up the rule set and fight type, with straight stock battles and mob battles of lots of weaker enemies rather than one solid one. What is best about the classic mode is how it loops in the character’s associated characters – for instance, the boss of Mario is, of course, Bowser. Though there is no narrative to these battle series, the tie into the character’s franchise adds the stakes and relationships you are familiar with from other games. World of Light has been billed as the real single player draw for this game, but I found it the least interesting part of the package. In this mode, you explore an isometric overworld populated with different battles blocking your progress. You battle your way through each of these to reveal more of the map and collect the characters you need to overcome obstacles on the map. The battles themselves are either too easy or too hard, making it a less appealing avenue to engage in battles than the other modes. This strange balancing is due to the new Spirits system introduced in this game. These spirits are characters from the franchises associated with the game and are essentially companions to your fighter in this adventure mode. There are primary spirits and secondary spirits – the primary spirit you level up through battle and items in order to raise your battle strength, while the secondary spirits offer advantages like starting battles with a particular item. It is nice that there is an adventure mode to mix up the game’s offerings, but the experience is pretty forgettable. The raucous energy that accompanies the chaos of eight-player Smash or a tournament bracket is hard to find in many other local multiplayer games these days. Ultimately the best progression system the game has to offer is in unlocking the game’s roster of fighters. With such a massive cast, the process of unlocking all of the characters takes a fair amount of time to do. 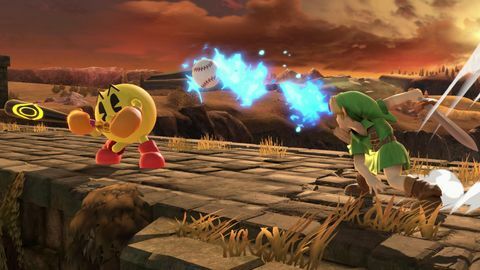 Playing any mode will present the opportunity to challenge a new fighter - you get confronted with a challenger for usually every three smash bouts you play. The trick is, you must defeat them in a one stock battle for them to join your roster. 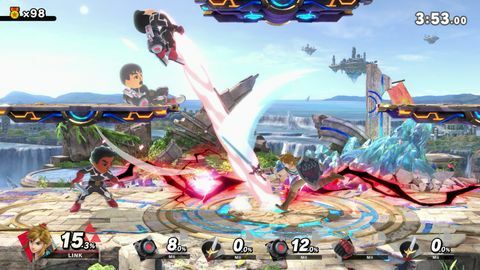 It is not clearly displayed, but it seems that the challengers AI is quite high the first encounter, and it is then dropped with every rematch – so, it can occasionally take a couple of attempts to defeat a character. 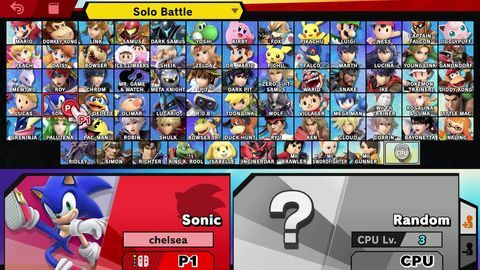 This slow drip of the massive roster can be frustrating if you like to play as a particular player and they haven’t cropped up yet, or you want to have a multiplayer event and don’t have access to all the characters. 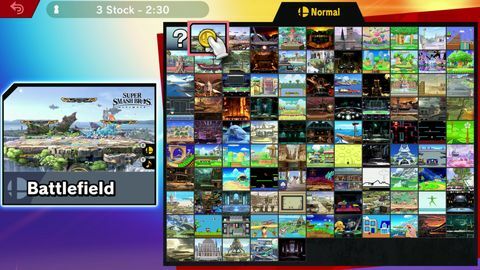 However, as a single player experience, this rollout keeps the game incredibly engaging throughout the 10 – 20 hours it will take to unlock the entire roster. By the time I had my full roster, I was hooked in enough by the fighting mechanics that progression systems didn’t matter as much to me. But, if you find you do still need that hook, the game includes a series of 111 challenges which unlock unique and interesting character screenshots for you to chip your way through. 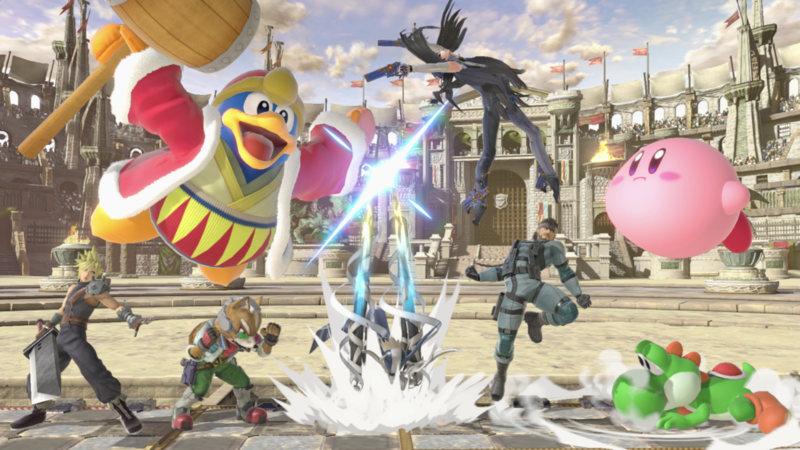 Despite the variety of progression systems, the game offers for solo play, Super Smash Bros. Ultimate still shines brightest when played as a local multiplayer game. As much fun as I have had mastering this game solo, that experience pales when compared to the evenings I have had playing the game with friends. The raucous energy that accompanies the chaos of eight-player Smash or a tournament bracket is hard to find in many other local multiplayer games these days. With Super Smash. 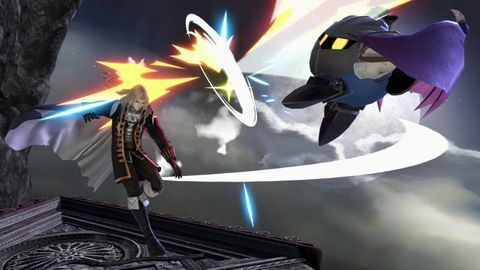 Bros Ultimate, the development team set themselves the lofty goal of bringing together an incredible amount of the franchises back catalogue of characters, stages and other miscellanea. With this much fan service-focused content, there was always the danger that the game would get buried beneath it. But thankfully, the game sits proudly on top of it, in this game that simultaneously celebrates the very history of gaming while presenting a deep, incredibly fun fighting game for everyone and everyone, no matter how you choose to play. Ups Enormous roster. Deep meta. Variety of maps and music. Progression systems. Multiplayer fun. Downs Adventure mode. Slow character rollout.